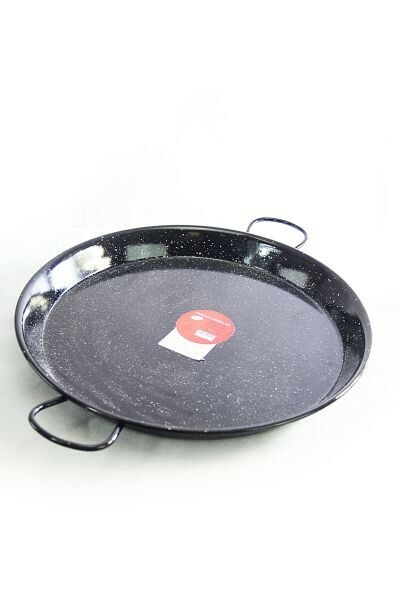 Original Spanish paella ring gas burner with an impressive 50 cm diameter, for all large paella pans and other cooking utensils. 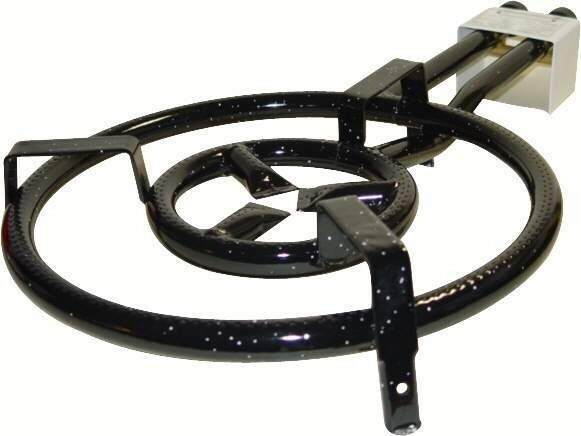 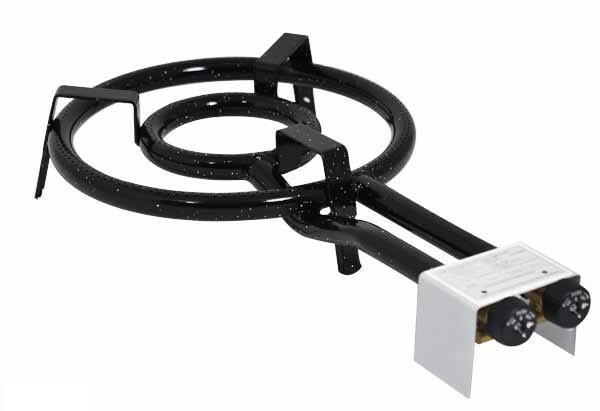 This relatively large 50 cm diameter paella gas burner has two individual rings which can be independently regulated and turned on and off as required. 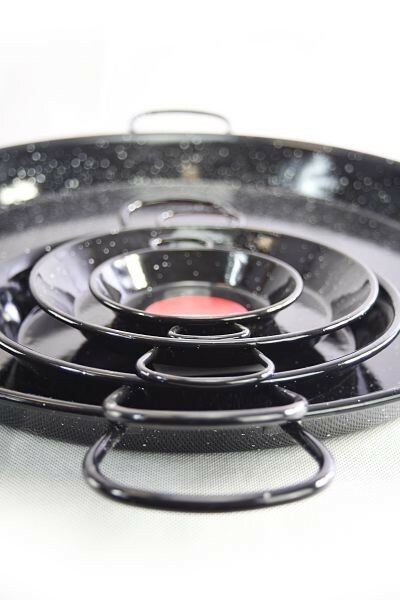 If only the inner ring is used, the gas burner is suitable for smaller pots and pans. 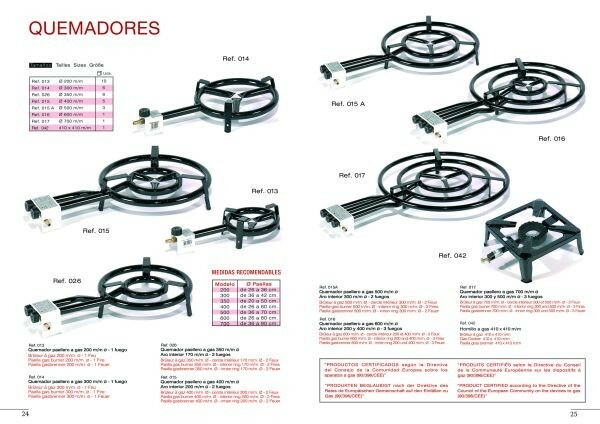 This paella gas burner is perfect for all paella pans with a diameter of 50 cm and more, but can also be used for other large pans and pots. 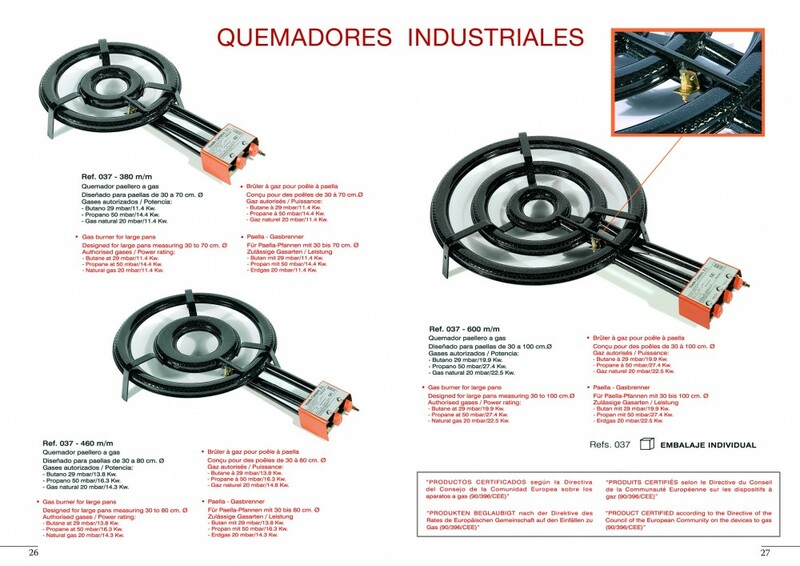 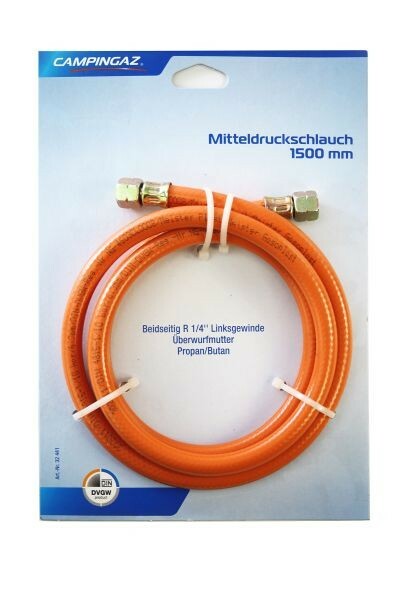 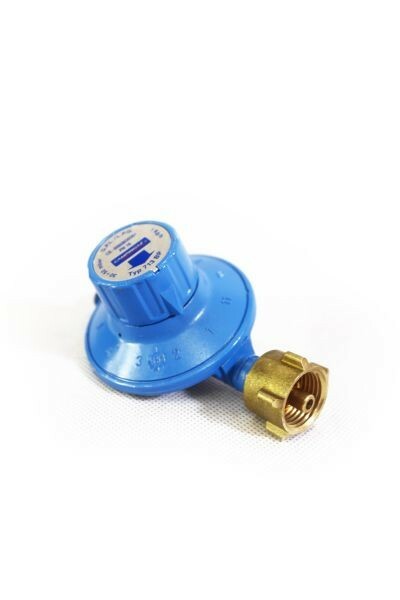 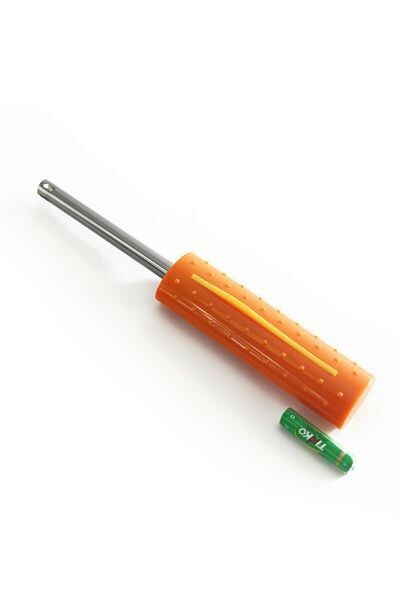 We at Destillatio have a special application for this burner – it is ideal for heating boilers up to 200 or 250 liters. 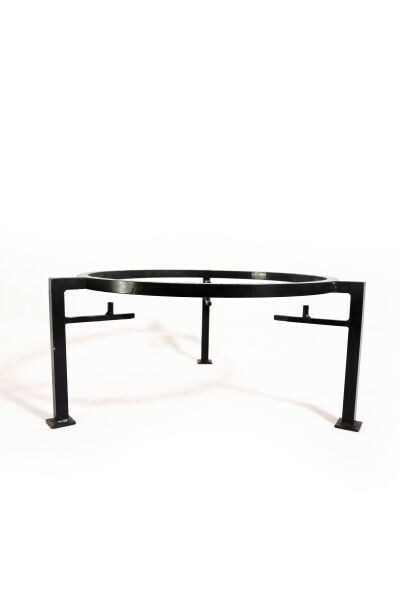 However, because of the substantial weight, an appropriate base made of bricks should be built or a very sturdy stand used.